The app's new tag-based feed is also aimed at getting you to interesting things faster. Imgur began as a way for Redditors to share images quickly and easily, but has grown into a pretty robust site and accompanying mobile app. Last week, the company announced two new features that should help you find more time-wasting goodness: a tag-based content feed and a new Snacks feature, which echoes Snapchat (and Instagram, Facebook and YouTube) Stories. Your new feed is accessible from its own tab on your Imgur home screen, right next to the "Most Viral" tab. You'll need to tap through a few tags of your own interests and your feed will fill up with images and GIFs from the people and tags you follow. You can up/down vote, comment and add favorites from the endless scroll of Imgur content. It's a nice way to just browse stuff you're interested in, instead of what's most viral on the service. You can find Snacks in the search tab within the Imgur app. You'll see a bar at the top, just under the search field, with a curated list of GIFs that you can tap and just, well, watch. There doesn't appear to be a way to create your own list, unfortunately, which separates Snacks from the other social media story features. 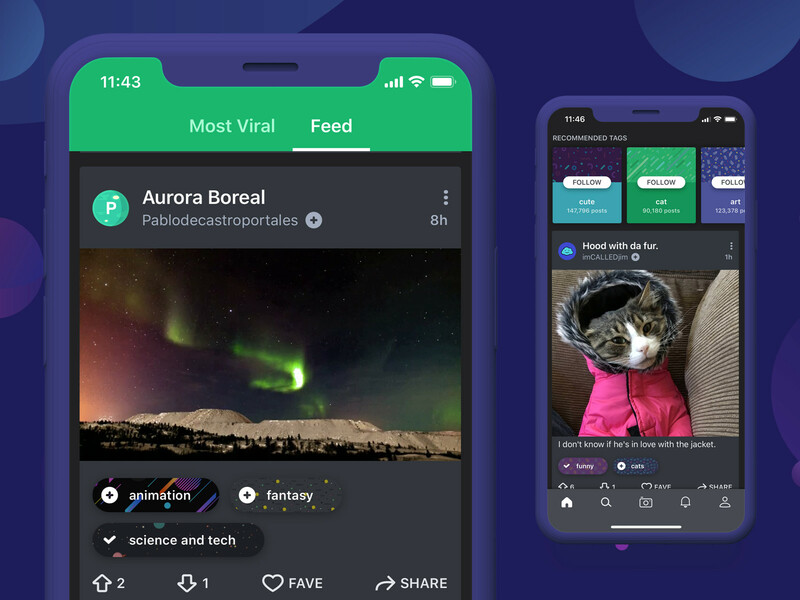 Update: Imgur's COO Roy Sehgal told us in an email, "We have an exciting roadmap for Snacks and in 2018 including new ways to create and curate content on Imgur." The spokesperson would not confirm if that meant user-created Snacks in the future, so stay tuned (it seems likely).